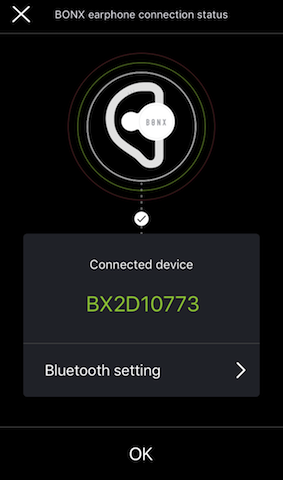 Turn your smartphone's Bluetooth mode on and turn on your BONX earpiece. When you turn the BONX earpiece on for the first time, after 5 seconds the LED light on the earpiece will automatically begin flashing orange and green light alternatively. The earpiece will enter pairing mode. Once you pair the BONX earpiece with your smartphone, the earpiece will automatically connect to your smartphone every time you turn it on.